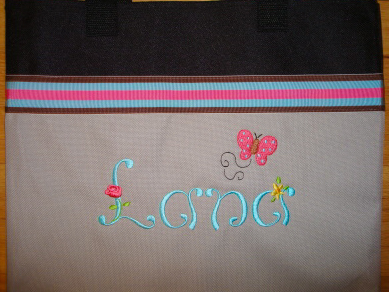 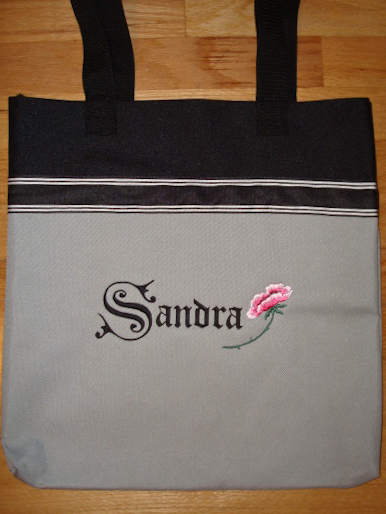 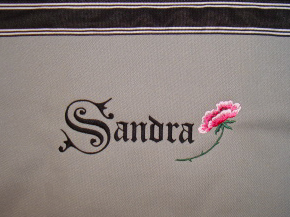 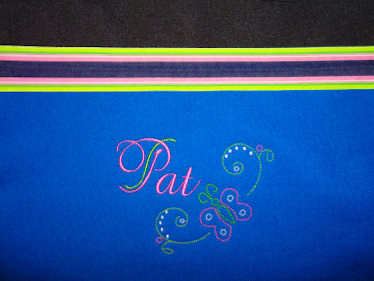 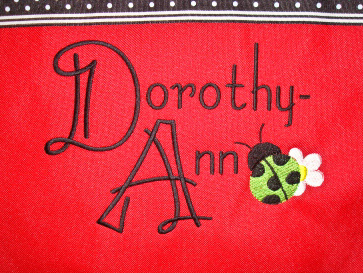 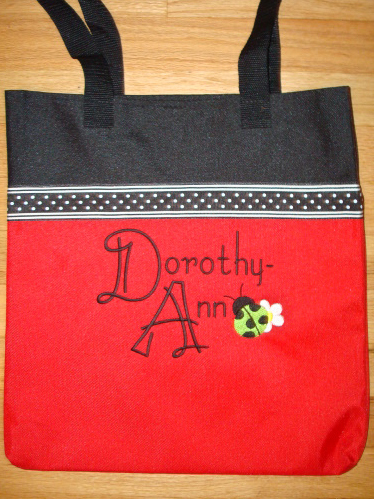 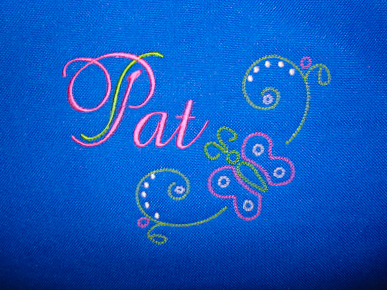 Showcase Gallery 10 : Fancy Fonts Embroidery, Home of the ORIGINAL "Trendy Dots" Font! 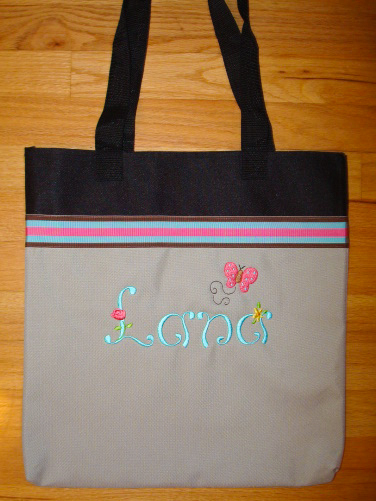 Duo Tone Monogram and our Butterfly Corners design set. 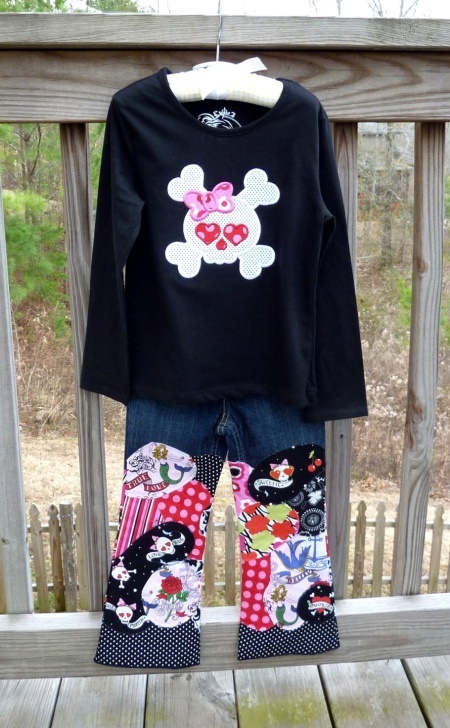 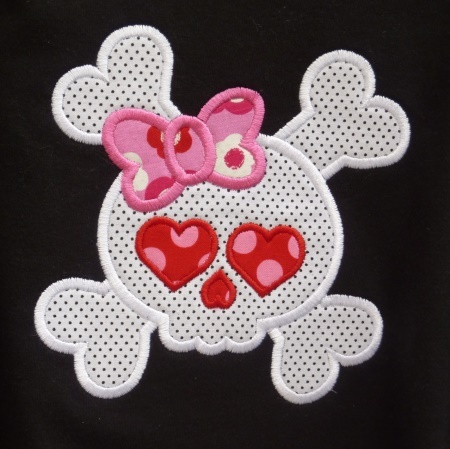 Take a look at this SUPER cute outfit made by Candi Meadows from 3 Little Bees using our Sweet Girly Skull Applique!